My final reflection blog post!! Finally the semester is almost over. I feel like I just started the semester. Time flies so fast. Actually I learned so many things from this class that I would not have learned in any other way. First of all I am not a CT major. I took this class for elective which in other way I took it as for fun. i am not an active social network person. But this class made me a media insect. I have learned how to make GIF by using Imgur, it is so fascinating. We have used CT101.us site for our blog post. The most inspiring part of this class was to make our own website. It was beyond my thinking that I would ever create my own site. We have given times to think about our domain name. At first I thought I would have to pay for the domain name. Fortunately, we have gotten code for free domain. finally we created our own site. The name of my site is tigerrabbit.org which is a given name of me and my partners name from the well-wishers. i could do anything with my site. I even can post blog to my own site. I change the background, theme and font of the site whenever I want to. Ultimately, I am the boss of my own site. On the other hand, we have done some other works in class, such as copy right, remix, making a background sound of a movie clip, creating GIF etc. One of my favorite project or group that I have done in class was about the clip on Charlie Chaplin in lion cage. We were told to bring any instrument from home. We were assigned in group of three or four. As instrument, we used range of things, such as water bottle, broken table, guitar, bag, mouth to use dog sound and etc. The professor was in the middle of the class recording the whole clip. At the end, he played the clip. It was so much fun. I think this was the best thing have learned in this class. Another exciting thing I have learned in this class about taking a part of the movie and make GIF on it. Now I can do it on my own and post it on social network. That reaction, when i see my GIF.!!! Now I will briefly talk about the master of the whole movie, it is none other than the smart professor Michael Smith. When I saw him for the first time, I thought he is a tough professor, who wants students learn on their own. But I was erroneous. According to me, he is the best and helpful professor I have ever met at York. He helped each students from the core of his heart. He spent times to solve the problem the student have. He doesn’t skip from one student to other or he doesn’t run to finish up the class. I was trying to change the font of my own site but I didn’t know how to do it. And he helped me to change it even though it look times for him to get the problem. He helps every way he can. I would like to thank him for his effectiveness toward the students. THANK YOU!!!!!!!!! In addition, as I said earlier that, I took this class for fun and I learned a lot from this class. I would like to keep my own site to post the blog. I will post some good, educational or funny post in my site. I will spread my site to the people where can and get good information and learn something good. when i see my own site. I want to learn more about digital story telling. i can’t wait to learn. have a great summer !!!!! 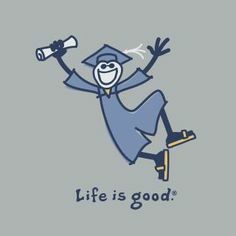 FInally I am done with the semester!!! This is exactly how i feel like to do after the final the done. I love all your images and gif you used!! Especially the one at the end with the dancing! !